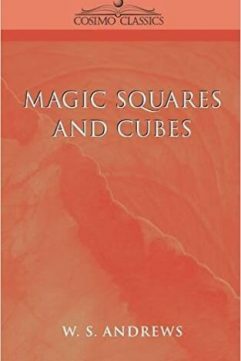 This is the third book in the course and continues the material presented in Four-Dimensional Stock Market Structures And Cycles by applying non-linear techniques and extending them to commodities markets. 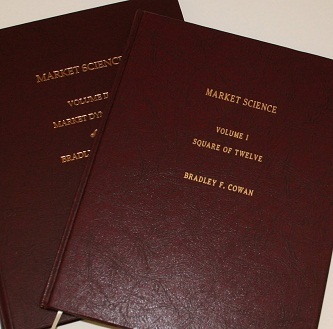 The material in these books is designed to demonstrate unique and accurate market modeling techniques that have never before been made available to the public. 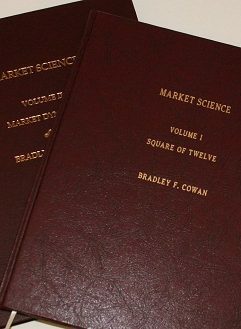 This is the fourth book in this unique series and is arguably one of the most valuable source of market information ever printed. A statement like this is not made lightly because hard facts have to be provided to prove it. Market Dynamicsdoes what has never before been done by anyone, anywhere, at any time. It provides a model, based on a simple number series, that defines every major turning point in price-time. The resolution of this model is shown to be within two cent-days over the entire historical record of soybeans, beginning in 1913. THIS BOOK PROVES THAT MARKET MOVEMENTS ARE PERFECTLY ORDERED. Not only are soybeans and live cattle studied, but a STOCK MARKET GROWTH SPIRAL AND CYCLE UPDATE is also provided, showing the perfect order within the growth spiral of that market, after the crash of 198.